It was her first event after undergoing an anterior curiae ligament surgery in Mumbai, last year in July. New Delhi: Star Indian gymnast Dipa Karmakar’s career-threatening knee injury flared up again at the Asian Games and her coach Bisweswar Nandi informed that the Agartala girl will be out of action for another two weeks at least. The gymnasist will undergo physiotherapy sessions starting from Friday at her hometown to recuperate from the injury developed during the vault event in Jakarta. “Dipa is doing well. She developed some pressure in the same leg, which was operated last July. There is nothing serious, but we are not taking any risk and have given her two week rest. After two weeks we will assess her condition and then only we will be in a position to say anything,” Karmakar’s coach Bisweswar Nandi said on Thursday. After the high of Rio, Dipa remained out of action with a knee injury and had made a comeback only recently at the World Challenge Cup in Mersin, Turkey, where she won gold in vault. It was her first event after undergoing an anterior curiae ligament surgery in Mumbai, last year in July. She was forced to skip the Commonwealth Games too. “We did an MRI scan also but nothing serious was found. If her physio suggest then we will consult Dr Anand Joshi, who operated her in Mumbai last year. She will bounce back soon,” the coach added. Though Dipa returned empty handed from Jakarta, Nandi was satisfied with her performance, who finished fifth in the beam balance event but rues the lack of affiliated federation in the country and said it is affecting the sport’s growth in India. 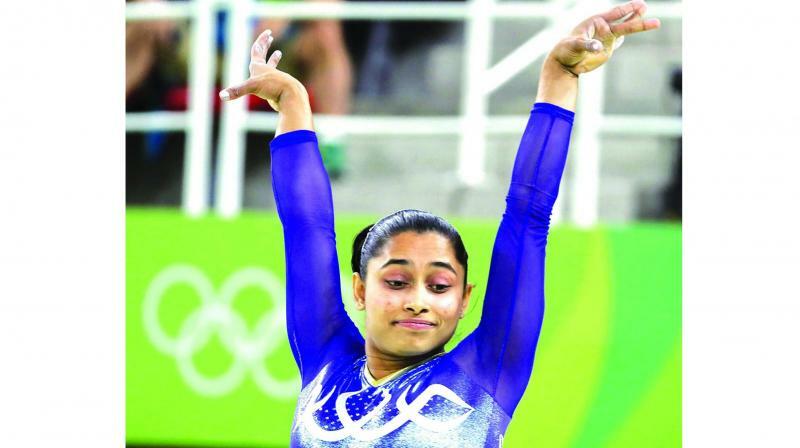 India endured below par performance in gymnastics at the ongoing quadrennial event. “I am thankful to the Sports Authority of India for their support. The athletes are the worst sufferers without any competition in the country and no foreign tournaments. “If we have competitions then only new kids will come. With more quantity we have more options and then only we can fetch better results. But without affiliated federation things are going haywire,” added Nandi.